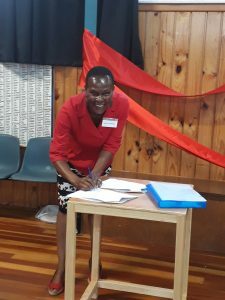 Over the past few months, Fab Feathy has been beavering away, setting up systems and processes to support community-led development (CLD) in Featherston. Fab Feathy is pleased to welcome two new Steering Group members, Dannii Sargent and Te Ata Rodgers, and we would like to thank Kara Pennington for her wonderful work for the Fab Feathy group, and wish her the best for all her future ventures. But here are the most exciting news: three Fab Feathy facilitators have been employed to keep up the Fab Feathy momentum and work with the community to set up some of the projects in the Community Plan. The facilitators are Alexa Belavskis, Anne Nelson and Jack Sheppard. They are each working 20 hours per week and have been hired using funding from the Department of Internal Affairs’ community-led development scheme. They’re based at the Featherston Community Centre, so please knock on their door and say hello if you are in – or catch them at the Pot Luck Dinner on 29 July. 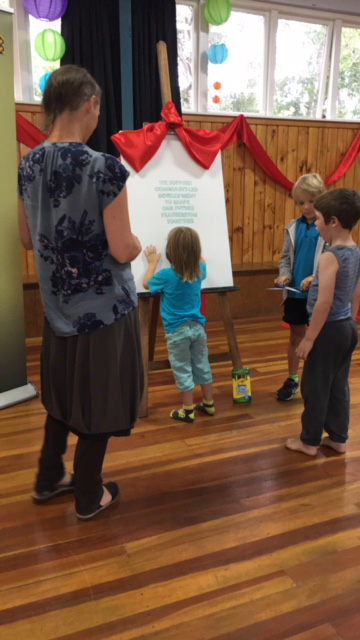 They’ll be keen to hear which projects in the community plan you think are a priority for Featherston – and to learn more about the ideas behind some of them. Alexa is a networker and relationship builder. She started out working in the London corporate scene but then made a complete lifestyle change and went to live in Central America, where she studied yoga. She ended up living in Guatemala where she did community development work building projects, supporting local initiatives and connecting people together. Alexa wanted to be part of Fab Feathy because it’s a community-led project, “for the people, by the people” where we’re all working together to make Featherston the best it can be. Jack studied Chinese at Victoria University and after graduating, was lucky enough to work at the 2008 Beijing Olympics and 2010 Shanghai Expo as operations manager for the NZ project. More recently he worked as a project manager in the Chinese aviation and video games sectors. Chris Miller’s beautiful, quirky and engaging flyers drew Jack into the Fab Feathy survey and Pot Luck event last year. There, he found the wealth of ideas and passion for the community to be infectious and knew it was something he wanted to be part of. Keep your ears to the ground – more updates to follow about the upcoming Community Potluck on 29 July very shortly. Fab Feathy recently signed the five-year community-led development partnership with Department of Internal Affairs. Thank you to Martine Bijker and Rebekah Mehrtens for organizing the Fab Feathy & First Friday’s February Fiesta, and making it possible for us to celebrate this signing and opportunity with our community! Fab Feathy expect to be recruiting for the role of Community-led Development Co-ordinator in March. 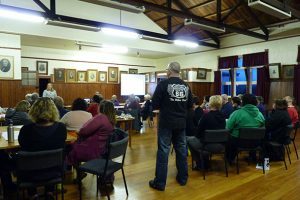 Please keep an eye out on our project page http://featherstoncommunity.org.nz/category/fab-feathy for details on how to apply, as well as through other local forums. We will be finalising details of what skills and commitment are needed at the beginning of March when we hear the outcome of our first Community-led Development Programme funding request to DIA. We are looking forward to working together with the community, and getting some great community-led initiatives off the ground in 2018! 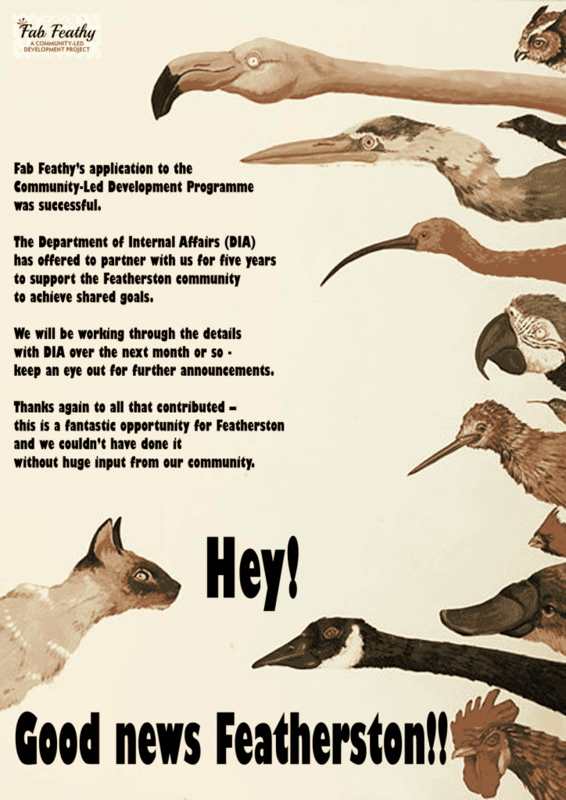 If you would like about the community-led partnership with DIA, go to http://featherstoncommunity.org.nz/category/fab-feathy. 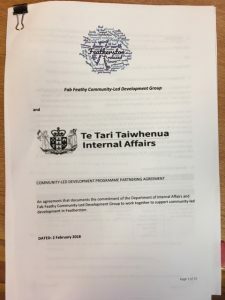 There you can also check out the principles of community-led development, and have another read of the Our Future Featherston Community Plan. You can also find hard copies of the Community Plan at the Featherston Community Centre and the Featherston Library. Fab Feathy invite you all to join us for the Fab Feathy & First Friday’s February Fiesta, 2 February, at the Squircle, to celebrate the signing the five-year community-led development partnership with Department of Internal Affairs. Featherston First Friday have invited Fab Feathy so that we can celebrate this opportunity for Featherston with our community. After the event the canvas will be further decorated by one or more local artists and it will eventually hang in the office of the future Fab Feathy coordinator. We’d love to see you there and for you to show your support by signing the canvas. We are looking forward to working together with the community, and getting some great community-led initiatives off the ground in 2018! To find out more about the event, go to facebook on Fab Feathy & First Friday’s February Fiesta. Hope to see you there! Fab Feathy’s application to the Community-led Development Programme was successful! We recently met with DIA, and the feedback on our application was that it was a straightforward decision for the Crown Panel. Awesome work Featherston! Seven out of the nine communities that were invited to apply in the September round were selected. This is in addition to the five selected in the open round in March 2017. So, Featherston, we are one of twelve communities in the country to be selected for this programme. Resilient Carterton was also selected, for two years. 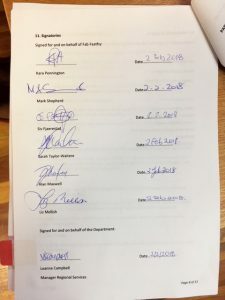 This a great outcome for the Wairarapa Region. 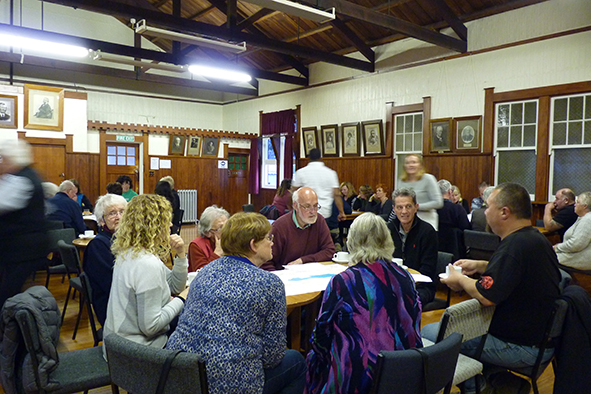 Featherston has been selected for five years – this tells us the Crown Panel and DIA are very confident that our community has a robust plan and willingness to work together to achieve our shared aspirations. Of course, we already knew this but now we have some resourcing to get things done! Fab Feathy is currently working to draft a five-year partnership agreement with DIA for the Community-Led Development (CLD) Programme. The focus of the CLD Programme Partnership is “Communities Working Together”, following the principles of community-led development, to achieve shared visions and goals. Fab Feathy will remain the steering/governance group in the establishment phase of the partnership, holding the relationship with DIA. We will co-opt further members from the community as appropriate/needed. 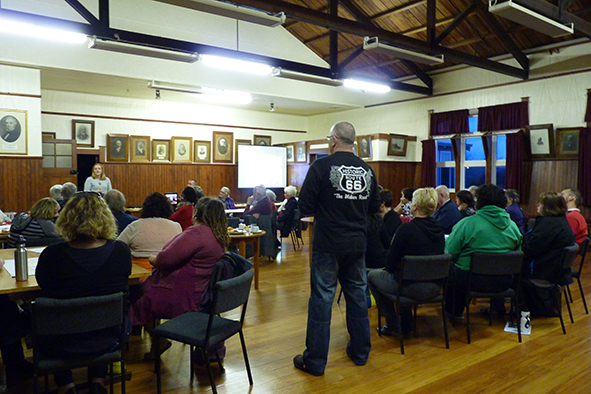 The intention is to set up a stakeholder group for those also involved in the community space in Featherston. Our approach will be consistent with that outlined in the Our Future Featherston Community Plan plan and in our application to the CDL Programme. A copy of Fab Feathy’s CLDP Application is attached. We intend to employ either one full-time coordinator or a couple of part-time coordinators by the end of February 2018. When we are in a position to, we will advertise the role within the community. The coordinator/s and Fab Feathy’s role as we go forward will be to facilitate and support the community (with stakeholders) to work together towards shared aspirations. We hope to organise a community event in February 2018 to celebrate being selected and formalising a partnership with the DIA. We aim to hold the first of our planned quarterly community meetings by the end of March 2018. Fab Feathy and the coordinator/s will facilitate discussions at this meeting about what community projects to get started on. We hope to get the first community projects off the ground early- to mid-2018. Some funding is available. There is no set dollar value that comes with being selected. We will need to apply to the CLD Programme Crown Panel for project funding and each proposal will be considered on its merits. It will be the role of the coordinator/s to manage the submission process. DIA will work with the coordinator/s, Fab Feathy and the community to support us to prepare each proposal. Key factors we will need to cover off for any funding proposal are: what outcomes we are wanting; evidence of community mandate for the proposal; what resources the community (and stakeholders) are contributing to the project; the plan for future sustainability; whether there are other, more appropriate, sources of funding (e.g. Lotteries Community Facilities). 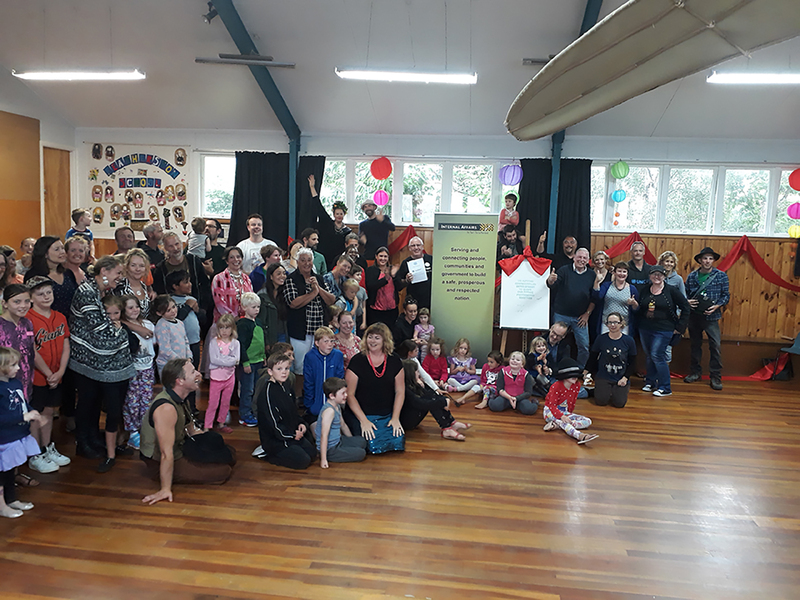 The Featherston community did it again – we turned up in spades to Kiwi Hall and showed our love and belief in our place and our community. And this in spite of the meeting falling smack bang in the pre-Sunday-dinner-lull and there being at least another 3 community events on the very same day! The purpose of the meeting was for DIA to gauge whether or not Featherston is ready to be selected for the CLD Programme. The focus of the CLD Programme is “Communities Working Together”, following the principles of community-led development, to achieve shared visions and goals. The meeting was requested by DIA as a result of the recent application for Featherston to be selected for five years of partnership/investment, from the Department of Internal Affairs (DIA)’s Community-Led Development Programme, to achieve our community goals. The application drew on the recently developed community plan. If selected, Featherston will be able to access support and funding to achieve share community goals for up to five years. We will have our fingers and toes crossed while waiting for the outcome. In the meantime we are continuing to develop our Skills and Interests register. Let us know what are your talents and time that you are wanting to contribute to Featherston’s goals (email us at fabfeathy@outlook.co.nz ). We will be sure to be back with as update as soon as we have some news. Thank you to the lovely people from DIA who traveled far to came to our town on this Sunday night to talk to the Featherston community. 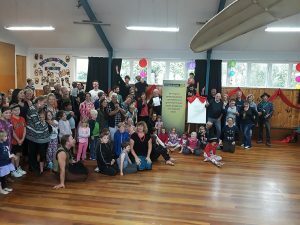 Thank you to everyone who attended, for your generosity of ideas and support, and to all of the Featherston community, for the multitude of amazing community-led development projects that are already taking place and the level of participation and support that you have provided in the surveys, activities, noticeboards and meetings & events. Special thanks to supporters and sponsors, including Tracey Shepherd for advisory support, Wairarapa REAP for projector hire, Featherston Supervalue for milk & cookies, Brenda West for organising the hall, Martine Bijker for poster design, Tiff North for slide show, Amy & Sue for helping to set up the meeting, and all the volunteers who lent a hand clean up after the meeting. We are excited to announce an exciting development for Fab Feathy and the Featherston Community! 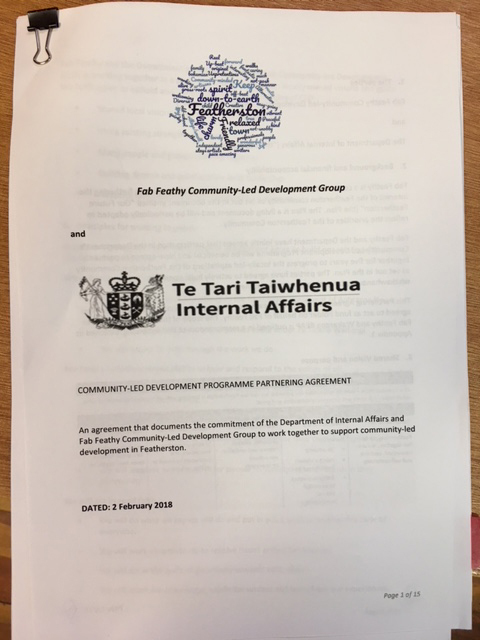 As you may know, Fab Feathy has been working to submit an application for Featherston to be selected for five years of investment, from the Department of Internal Affairs (DIA)’s Community Led Development Programme, to achieve our community goals. 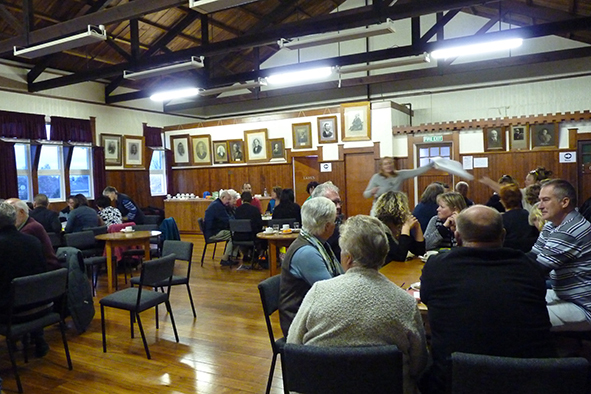 If selected, Featherston will be able to access support and funding to achieve shared community goals for five years. Invites only – and Featherston’s been invited! Fab Feathy was working towards submitting an application in the next general application round in February 2018. Featherston is so awesome, however, that we have been invited to apply to an extraordinary round, closing 24 August 2017. It is an amazing opportunity and we are going for it! We have been invited to apply because Fab Feathy can demonstrate how much support there is in our community to get together to talk about our goals and to work together to achieve them. 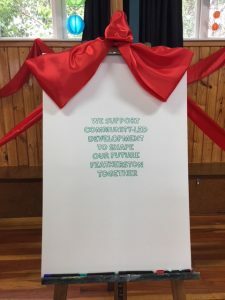 This support is demonstrated, for example, by the number of people/groups who are already working together and doing great things in Featherston. It is also evidenced in the numbers of community members that participated in Fab Feathy’s activities, such as the Potluck and the Our Future Featherston Survey. We could not have done this without you! If our application is successful, DIA will partner with us for five years and, once the partnership agreement is in place, we will be able to request funding to achieve community goals. Have a good read of it and let us know if you spot any mistakes. Please feel free to share it with others; paper copies are also available to read at the Featherston Community Centre, the Featherston Library, and Loco Coffee & Books. The plan is intended to be a living document; we consider it a community resource that can continue to be adapted to suit community needs and priorities. DIA is coming to town to talk to Fab Feathy and community members about the application. The purpose of the meeting is for DIA to gauge whether or not Featherston is ready to be selected for the CLD Programme. To be selected, we will need to demonstrate a genuine commitment to the principles of community-led development in Featherston. We will be asking people in the community, those with knowledge and can speak to particular points of interest to DIA, to support us to have those conversations. We hope you can come along to show your support for the plan and the application to CLDP. Fingers crossed it all goes well, and that we will be a step closer, when we next do an update, to Featherston securing some resourcing to support us to work together towards our goals. Burton Trent and friends are offering an open mike day on Feb 6th. Come and have a sing and we will back you. Be there early (noon) if you need us to work out a song for you. Note, it is a non-alcohol event. Where? The Featherston Community Centre, 14 Wakefield Street, Green Street Gates. Gold coin entry or a donation to help pay for the venue.